To everyone’s surprise, PMQs today did not revolve around Brexit or even yesterday’s multiple and historic government defeats in parliament. Instead, Jeremy Corbyn attacked the Conservatives’ appalling record on Universal Credit, growing food bank usage and hostile immigration policies. And while the choice may come across as peculiar, it shows the Labour leader’s intent not to let bad Tory policies be buried under the chaos that is the Brexit debate. Most of today’s PMQs dealt with statistics found in the special report on UK poverty compiled by a United Nations official and published last month. Theresa May reiterated that her party rejected the report’s findings. Never a good look. 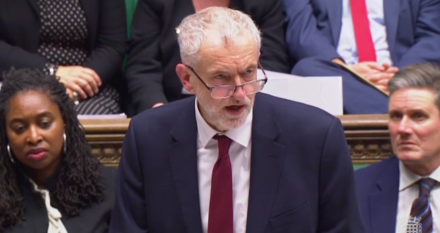 While today’s PMQs showed a confident Corbyn, it may have proved unsatisfactory for a general Labour-voting audience, craving a debate on Brexit. Especially as the BBC has now cancelled its plans to host a debate between the PM and the leader of the Opposition, these PMQs were possibly the last chance we had to see a true televised head-to-head. According to observers, today’s debate felt more like a pre-electoral rally than anything. But while Corbyn’s blows landed well on a increasingly dummied up PM, they could prove too little if a general election arrives soon and the Labour leader is still reluctant to take an unambiguous position on Brexit.